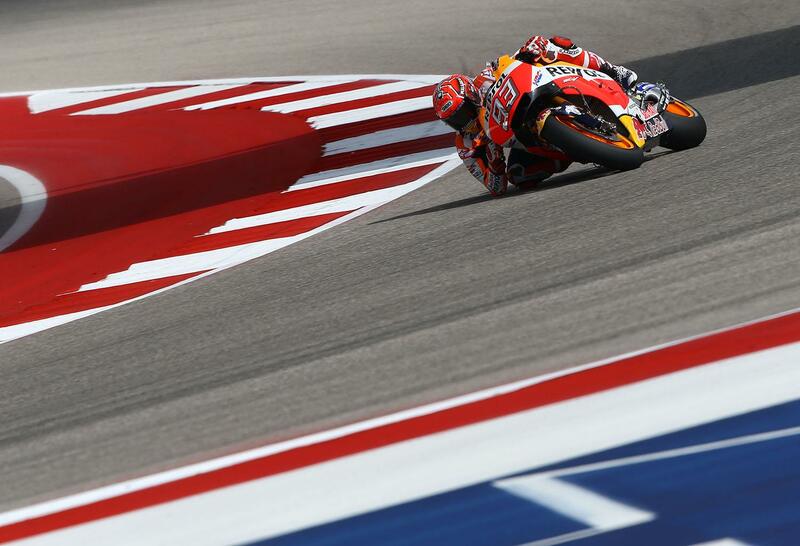 Marc Marquez and Maverick Viñales have traded the top spot of the time sheets in the first day of action at the Texan round of the 2017 MotoGP championship, with the Repsol Honda rider emerging ahead at the track where he’s dominated since taking his first MotoGP win there in 2013. However, the Spanish party was spoiled at the last minute by a Frenchman, with an impressive lap from rookie Johann Zarco on the satellite Yamaha dethroning the factory bike of Viñales back to third. But it was a good day all around for the Yamaha squad after a late lap from Valentino Rossi also moved him up the time sheets to fourth, making it three Yamahas in the top four. He’s joined on the provisional second row of the grid by the second Repsol Honda of Dani Pedrosa and the Ducati of Andrea Dovizioso. 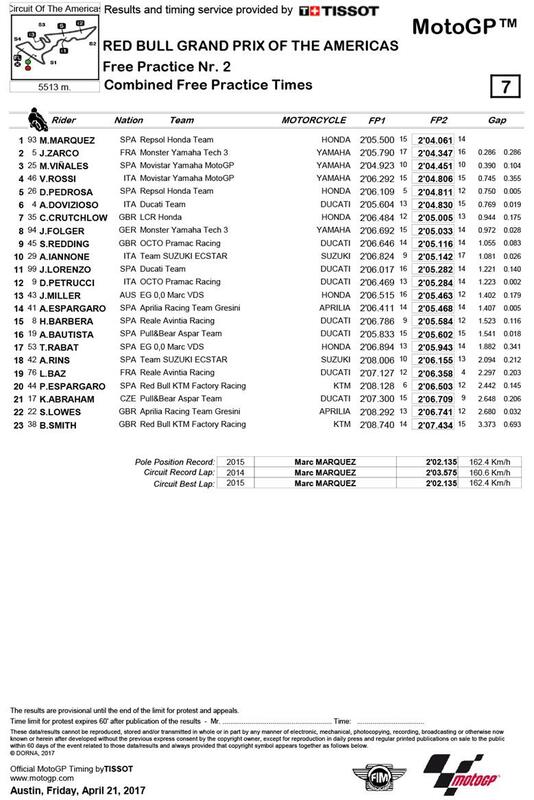 Cal Crutchlow heads the provisional third row from the last of the Yamahas in the hands of Jonas Folger, with Scott Redding and Andrea Iannone rounding out the top ten. Three-time world champion Jorge Lorenzo came home in 11th after being upbeat this morning about the performance of his Ducati after major set-up changes last time out in Argentina.